Mixed up chapters. But interesting insights. Presented here as a guide - and a warning - to aspiring racers who dream of joining the professional racing circus, Phil's adventures in road rash serve as a hilarious and cautionary tale of frustrating team directors and broken promises. 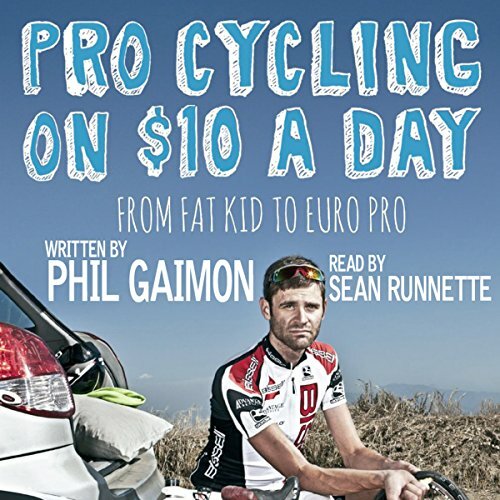 Phil's education in the ways of the peloton, his discouraging negotiations for a better contract, his endless miles crisscrossing America in pursuit of race wins, and his conviction that somewhere just around the corner lies the ticket to the big time fuel this tale of hope and ambition from one of cycling's best story-tellers. Pro Cycling on $10 a Day chronicles the racer's daily lot of blood-soaked bandages, sleazy motels, cheap food, and overflowing toilets. But it also celebrates the true beauty of the sport and the worth of the journey, proving in the end that even among the narrow ranks of world-class professional cycling, there will always be room for a hard-working outsider. 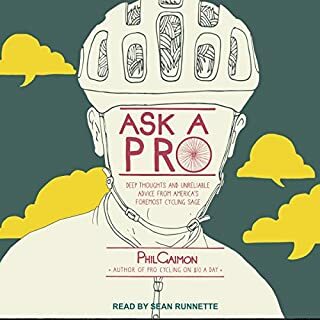 Where does Pro Cycling on $10 a Day rank among all the audiobooks you’ve listened to so far? This book is not about the bike. It will not make you wear a yellow wrist band. It will make you laugh and listen to his podcast and annoy your friends telling them to read this book. It's awesomeness. Can't wait for the followup! Phil is a great story teller. I hope he writes more books. 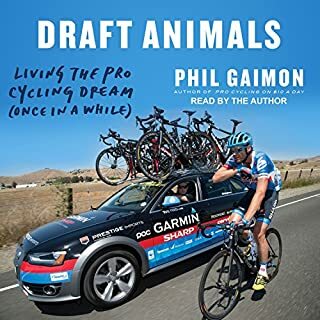 First off, I can't say I was keen to listen to anything about the North American racing scene but Gaimon has written a pretty great account of what it takes to make it the pro ranks. IT has heart and is often funny, wish I had made more of an effort to like him when he was a racer because he has class. only down fall is I'd like and updated version. To hear how Europe was so different. Cudo's to him for never doping! I'm sure PHil would have been a huge star had he doped, and this book would have been his confession. I'm happy he didn't. Everything a cyclist needs. Fun stories , with facts, then smothered in sarcasm. I am required to write at least fifteen words, but my title is probably enough. This book had me laughing out loud more so than any other autobiography or book I've enjoyed in a long time. Phil is a great story teller and his humor is priceless. I listened to this book in 3 days from start to finish because it was so entertaining I couldn't turn it off. Sean Runnette is one of the best narrators out there and anything he reads only makes it that much better. Whether you're a cyclist, a fan of cycling or just someone looking for a good story, I highly recommend this book. Loads of great stories telling the tale of moving up through ranks of professional cycling. 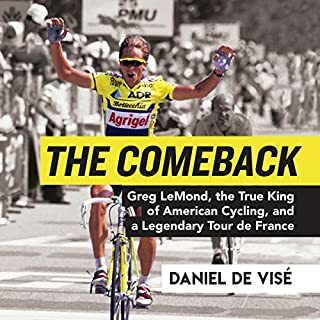 I've only been following pro cycling for under a decade, and it's been hard for me to care about non-World Tour riders, but Gaimon has changed that for me with this book. I first started following Gaimon on twitter because of his wit re the world of cycling and cookies. I like his seemingly cynical but fun outlook on everything. 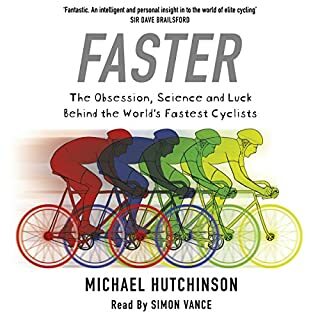 This book offers great insight into the world of cycling and makes me only a little less upset I didn't discover the joys of racing a bike in time to have a go, namely as he describes just how hard it really is. I'm also more willing to follow the non-World Tour riders here in the USA now that I have a sense for what they're battling. Hopefully someday I'll get to ride Phil's fondo, but I'll certainly be reading his next book. This book is a true gem! Inspiring and motivating. Will listen to it again soon. I really enjoyed this book, great story, very funny, lots of sarcasm and black humor. A very entertaining book full of insightful and funny stories. Follows the career of a racer through its highs and lows. 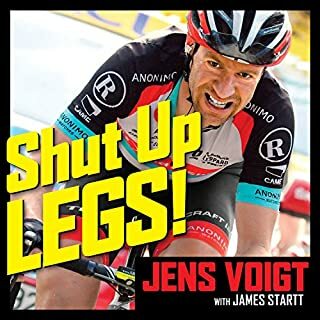 Very interesting and entertaining story of a lower echelon cycling pro roughing it and toughing it out on the USA pro circuit. Whereas most of us cyclists dream of making a living cycling, listening to someone who only just made a living is food for thought. Superbly told story of life in rubbish hotels, racing at the sharp if not sharpest end and the characters involved. bit slot at start. but keep going .good story especially for those who wanna be racers. Recommend this story to anyone with a remote interest in cycling but a good autobiographical read nonetheless. Loved the humour and the narration is fantastically done by Sean Runnette. 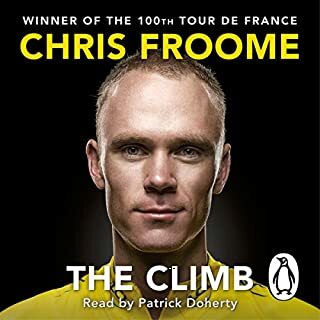 After reading the numerous memoirs relating to the pro-peloton, this provides a hilarious insight into a journey to get there. Fantastically funny. an honest, witty and refreshing change from the usual top pro bio's. well worth a listen. A great look at the sport and what it's like to try to make it to the big leagues! The humour is matched by the stark honesty. Highly recommended!! One of, if not the funniest books I have read/heard. Even if you are not from a cycling background and know the scene, you will enjoy this read.